Tri-County Challenger Little League is a baseball league for physically and mentally challenged kids. They play baseball on Saturday mornings from January to May in Southwest Florida. 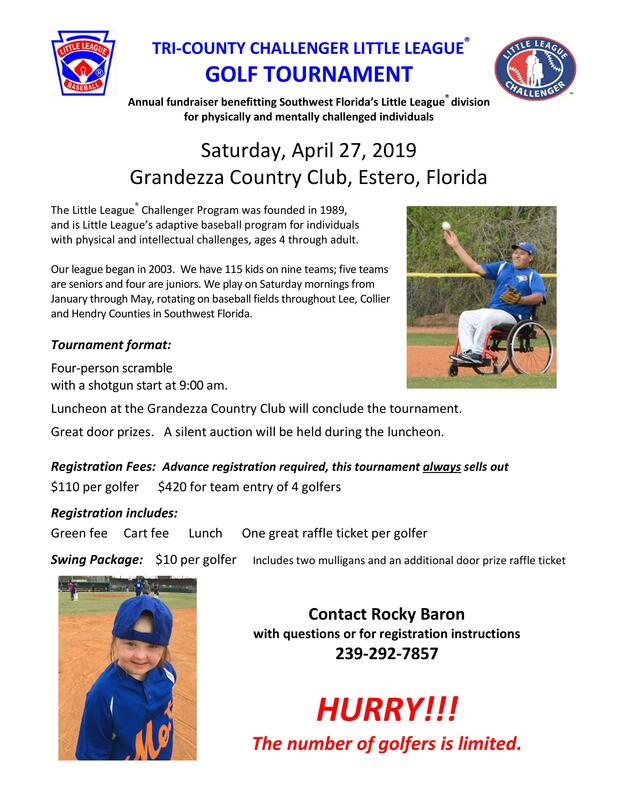 Challenger runs solely on donations and is hosting their annual Golf Tournament on Saturday, April 27, 2019. This event will provide for a fun afternoon on the golf course along with door prizes and a luncheon. In addition door prizes and a silent auction will be held during lunch. 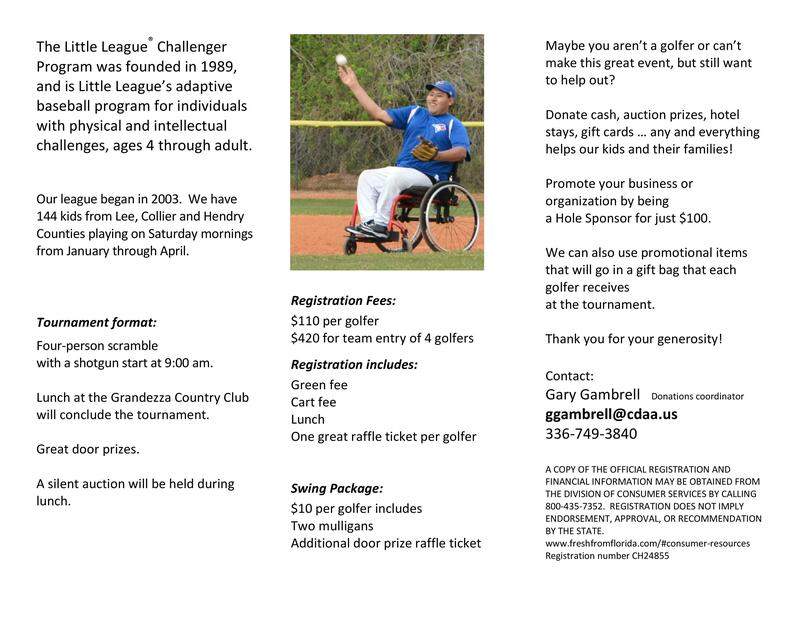 If golf isn't your sport, a donation can be made directly to the league. This event is open to the public. 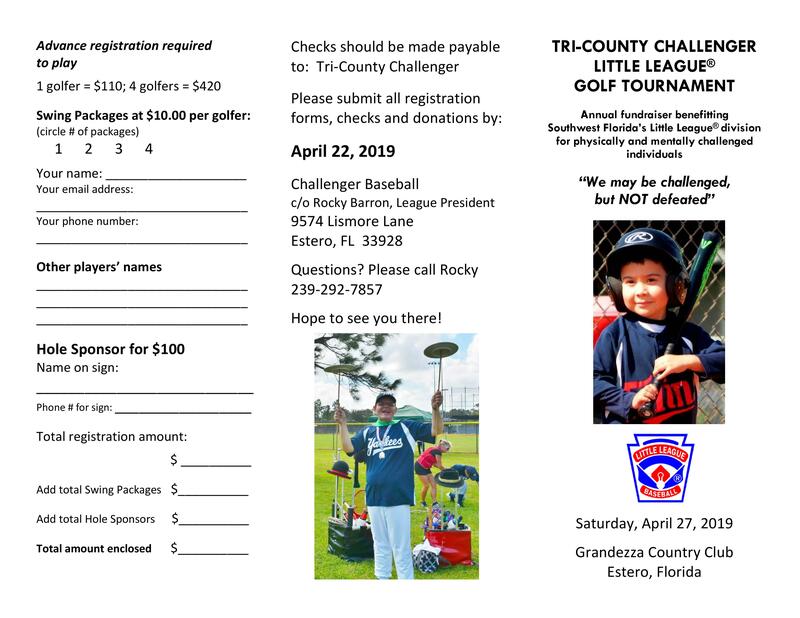 Please complete the registration form and mail the the address below with a check payable to Tri-County Challenger by April 22, 2019. Contact 239-292-7857 with any questions.